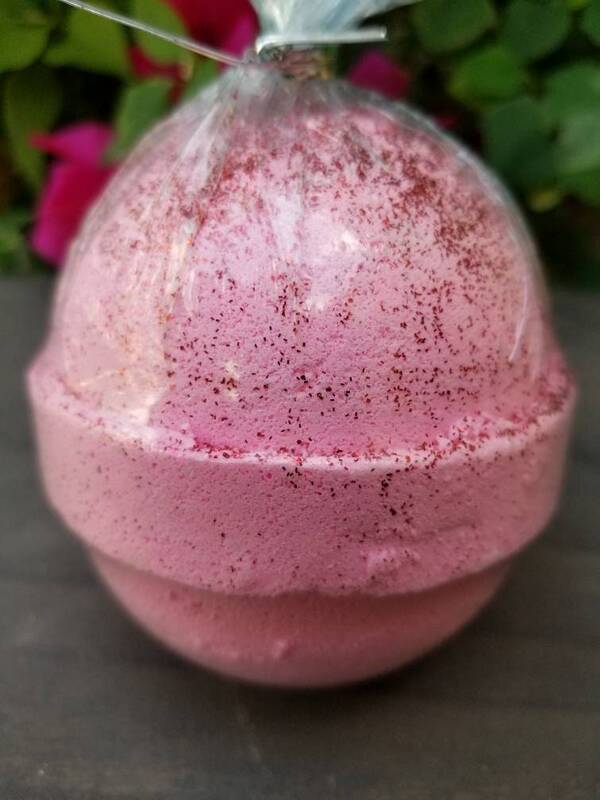 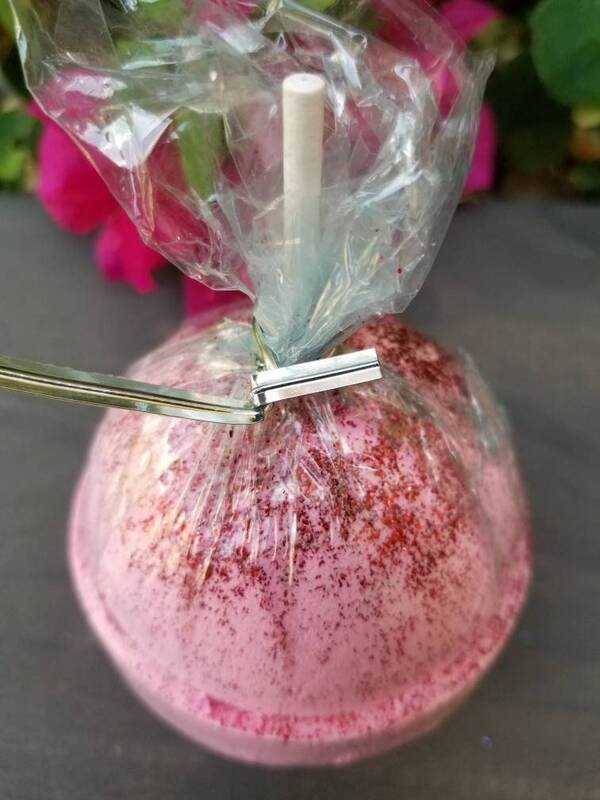 Enjoy this large 8 oz, deliciously fragrant, candy apple bath bomb. 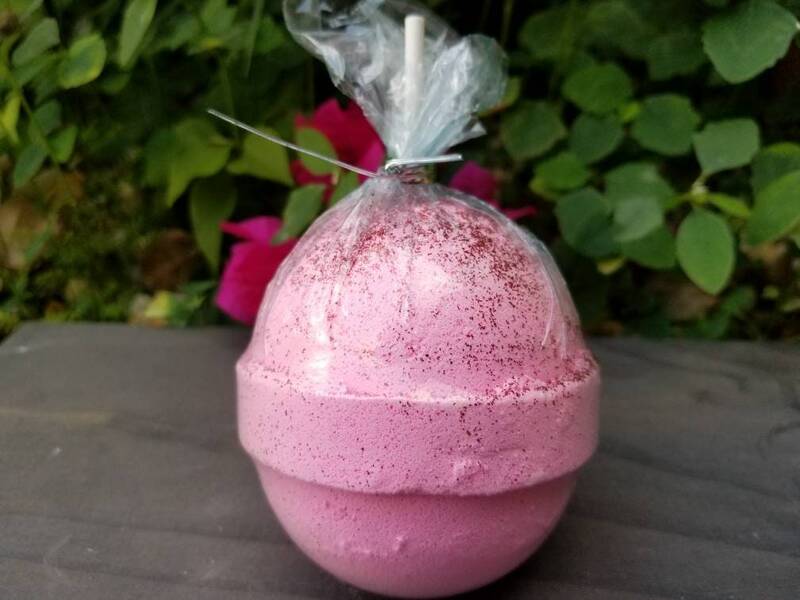 With the delightful scent of sweet candied apples, this extra large bath bomb will make you want to lick your tub, but please don't. 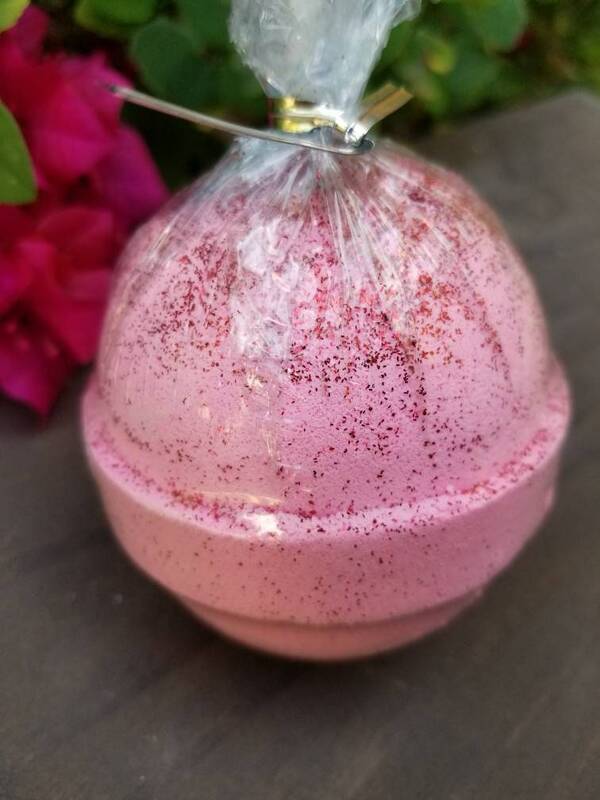 Although this bath bomb looks good enough to eat, it is not edible.